The fact is that Granite is popular for a reason. And most people are aware of the perks of using Granite. But if you have been coaxed into thinking otherwise, then here’s a small reminder of the many advantages of using Granite countertops in your home. Its Natural: Granite is a 100% naturally occurring stone with subtle hues and small imperfections that make it unique. No other countertop material even comes close. Exclusive: No two slabs of Granite are alike. Each slab of stone has distinct patterns and designs which make it exclusive. Even the sample that is shown to you will only closely match the final product delivered to your home in Toronto. There will be minute differences in every batch. Timeless: Granite has held center stage for over three decades now. And it still does not look dated. Your kitchen design may start to look old but you can always remodel it and tailor it around the countertop. Chances are that it may not look dated in the next twenty years either. Durable: Granite is an igneous rock that is formed at extreme conditions under the earth’s crust. This makes it one of the hardest materials on earth. It is resistant to heat (up to 900 F), virtually impervious to water when sealed and can easily sustain the wear and tear of everyday use in the kitchen without losing its luster. Low Maintenance: A little warm water and soap is all you need to clean a granite countertop. You do not need special equipment or expensive cleaners. Regular cleaning also helps it maintain its luster for years. Wide range of colours: If you think you have seen all the varieties of Granite, then you are mistaken. Newer designs and colours keep coming in the market every now and then and you may just be amazed at some of the exotic options. It is estimated that there are almost 6000 different colours and varieties of Granite. You are sure to find one that fits your requirements. Family Friendly: If you have an extended family with children and your kitchen is a high traffic area, then a granite countertop is the best choice for you. It is resistant to scratches and you can choose a bull nose edging that protects the kids from injuries. Heat Absorbent: Have you ever seen chefs roll out their dough directly on Granite countertops? The reason is because Granite absorbs heat which prevents the dough from sticking to it. In countries with extreme weather, granite slabs are used for seating because they always remain cool to the touch. Versatile: The kitchen is not the only place where you can use Granite countertops. You can use them in the bathroom, bar top, fireplace surround, outdoor barbeque area and windows. These of course are just suggestions. 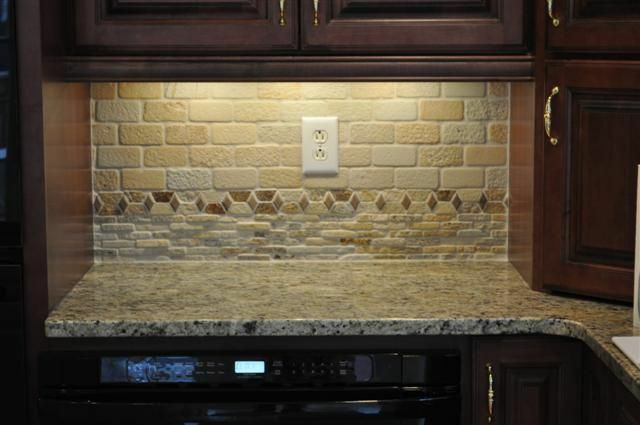 You can always be creative and use granite in just about any place you’d like to. Increases the value of the house: Granite countertops are a sought after feature among home buyers. And if you have recently installed Granite countertops in your Toronto home, chances are that you may recoup up to 100% of the investment while selling the house. Don’t forget that it will pay dividends for years.